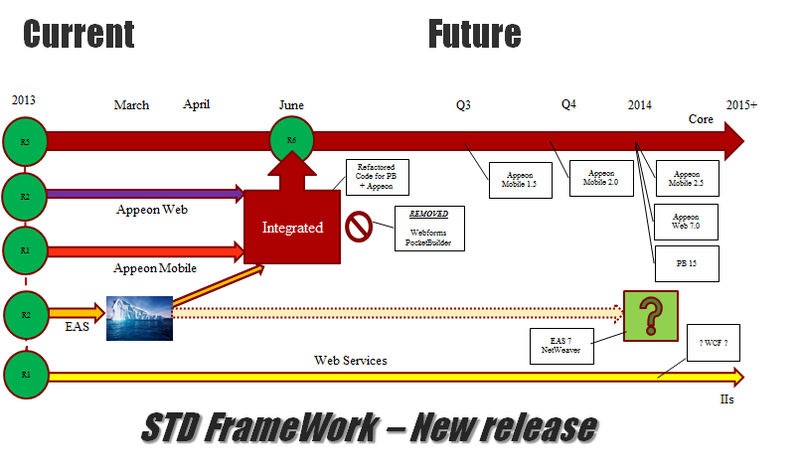 Great White North Technical Evangelist: New Release of the STD "Integrated" FrameWork! Integrated Foundation Classes ( Service Pack #4) Released! Software Tool & Die Inc (STD) is very pleased to announce that they have just released an updated version (5.4.0.21) of their Integrated Foundation Class library for PowerBuilder "Classic", Appeon Web and Appeon Mobile! Removed old reference variable "_PtrData" fr0m object source code that could cause C++ compiler errors. Removed old reference variable "Handle" from object source code as its a PB reserved word. Removed old reference variable "Anchor" from object source code as its a PB reserved word. Added new "oe_resize" event to the wn_master base ancestor class. This event ONLY fires when the user lets go of the mouse vs the PB resize that fires for every pixel! Added a new "vs_cb_ok_master" class that defaults the look & feel and behaviour of an OK button. Added a new "vs_cb_cancel_master" class that defaults the look & feel and behaviour of a CANCEL button. Added new "oe_ok" event to the base window class "wn_master". Added new "oe_cancel" event to the base window class "wn_master". Fixed the "vc_tp_about_support" class for the proper refrence to the active DataBase name. Added new Transaction Object classes for the following DBMS: SQLServer, Oracle, DB/2, and Informix. Updated the STD_FC_PB_Appeon PBL for method signatures to match Appeon 2013R2 & 2015 releases. Removed deprecated Appeon Class "eon_mobile_recorderex" from STD_FC_PB_Appeon PBL. Added new "of_set_current_tabpage" method to the "vs_tc_master" base class for Tab Control's. Added new "of_get_current_tabpage" method to the "vs_tc_master" base class for Tab Control's. Framework was system tested with: PowerBuilder 12., 12.5.1 and 12.6; Appeon 2013R2 and 2015; iOS 8.1 and Android 5.0.1 (both Smart Phone & Tablet); IE10/11; FireFox 32.03; Safari 5.1.7; Opera 26.0; Chrome 39.0.2171.95. 6) Support for NFC communications.